Floridians enjoy federal and state protections of their right to bear arms. However, there are limits. Regulations imposed on these rights make it a felony crime to carry a concealed weapon without a permit. 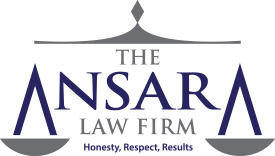 At The Ansara Law Firm, our experienced Fort Lauderdale defense lawyers are prepared to fight zealously to defend your rights and minimize the impact of a criminal charge on your life. Although Florida has a reputation for being “gun-friendly” compared to many others, prosecutors don’t take these matters lightly. An arrest for carrying a concealed weapon is a serious situation, and even first-time offenders could potentially face prison. Understanding your rights is important. Contacting a dedicated criminal defense attorney is imperative. WHAT DOES IT MEAN TO CARRY A CONCEALED WEAPON? Under Florida law, we look to F.S. 790.1 to answer this question. Still, a person could be prosecuted for a weapon enhancement if any of these other items were used in the commission of a crime. Similar provisions pertain to concealed firearms under this same statute. In the case of an unlawfully concealed firearm, the penalty is a third-degree felony charge, for which the maximum sentence is five years in prison and $5,000 in fines. Who Can Get a Concealed Carry Permit? Licenses to carry handguns are obtained through the Florida Department of Agriculture and Consumer Services. Also note the principle of Reciprocity. Florida law recognizes valid concealed carry permits issued by other states. However, not all states recognize Florida’s permits. Firearm was concealed from ordinary sight of another. Case law has established that in order to prove “knowledge,” prosecutors need to show only that defendant was aware the firearm was in his or her possession. However, it is not necessary to prove defendant had the intention to “conceal” the firearm. Prosecutors also need to show that it was concealed, which means that a person carrying out casual or ordinary observation, as typical in everyday life, wouldn’t see it. For example, a firearm on the floorboard of a vehicle probably would be considered “concealed,” even if it was partially visible to someone standing outside looking in. If you have questions about your recent concealed carry arrest, contact us today to learn more about how we can help.